Recently, Synology has released DiskStation Manager (DSM) version 5.2. If you’re running a Synology array with a model generation of x10 or greater, the software is free and all of the new features can be found on Synology’s DSM page. 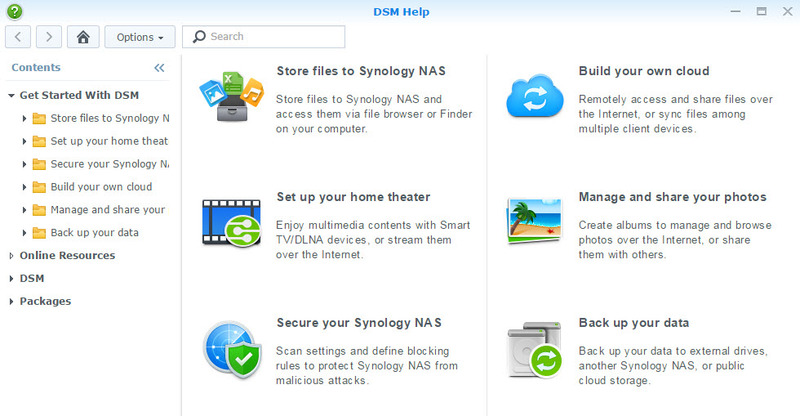 For DSM downloads, visit the Synology Download Center. The update was rather simple for me since I did it during the outage incurred while moving to Austin, Texas. I did notice that my packages on the DS1513+ (an ioSafe box) needed an update because it was running the 5.2 Beta code – make sure to check your packages and containers to update those that are on beta code (if you ran the beta). My lab is now back online and running file services and virtual machines. Upon first login to DSM 5.2, there’s even a handy little help screen that pops up to answer questions on DSM, packages, and features. Enjoy! Bit sad to see docker isn’t supported on my DS411+ unit. Its a dual core intel CPU and I upgraded the RAM to 2GB. Oh well. Might be time to move it on and update to a new fancy DS415+! @holg WOAH its there now!!!! I was working off this list when it came out and didn’t even bother to look!! Synology has nice products and DSM interface is very handy, but how do you manage your ESX hosts when you have to update DSM 2-3 times a month ? Usually you need to restart NAS after upgrade completion. I have 1x DS412+ and I use it only for backup and file sharing purpose at this moment. P.S. keep up the good work with your blog! Thanks, Adrian. My two Synology arrays running VMs are updated once a month or less. I usually take the opportunity to power down the lab and run firmware and host updates, too. The file server Synology arrays just auto update themselves late at night.